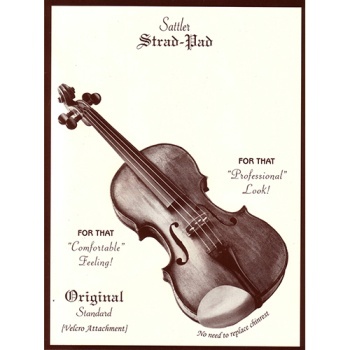 The Sattler Strad-Pad is a soft latex pad suitable for most sizes of chinrest. Play with poise, assurance and comfort. Light, large with velcro attachment (125mm width).